The moon set over Dorchester neighborhood of Boston on March 20. 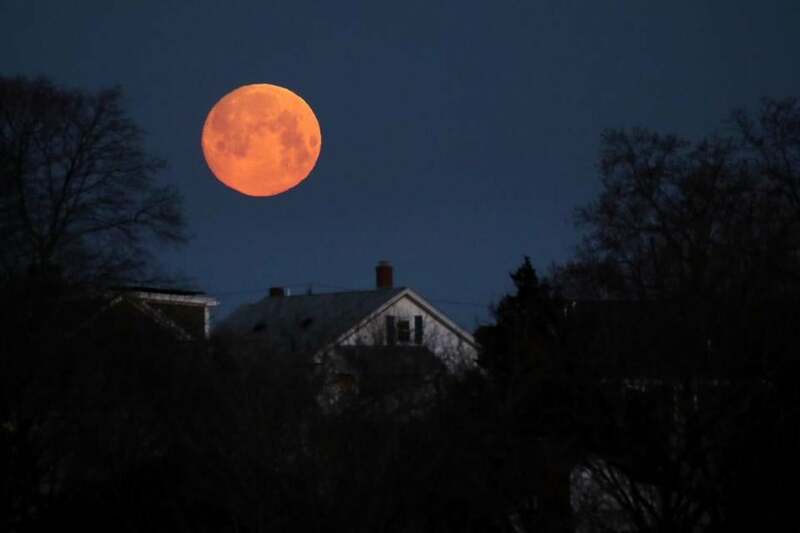 The third and final supermoon of 2019 set Thursday morning. The “super worm equinox moon,” as it’s known, is the first supermoon in nearly 20 years to fall near the spring equinox. Full moons in March are traditionally called “worm moons” because of rising temperatures, according to the Farmer’s Almanac. Here’s what the super moon looked like in Boston, across the country, and across the world. 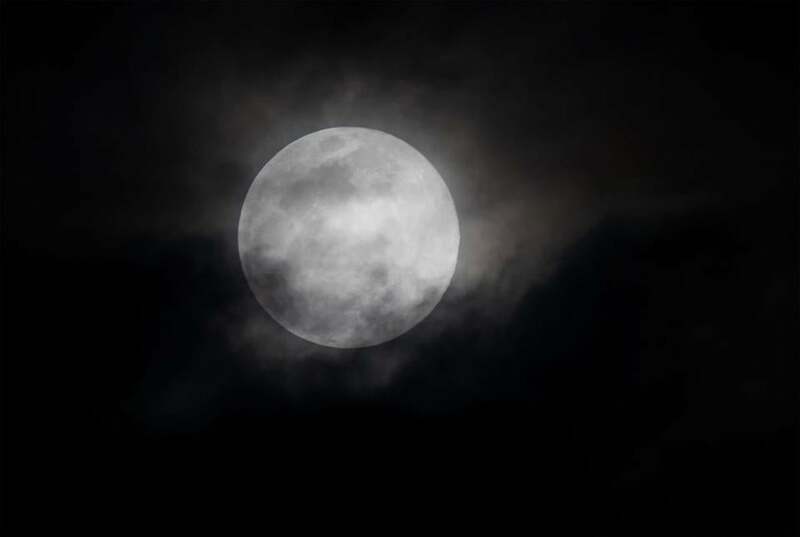 The full moon seen through passing clouds over Joint Base Andrews in Maryland on March 20. 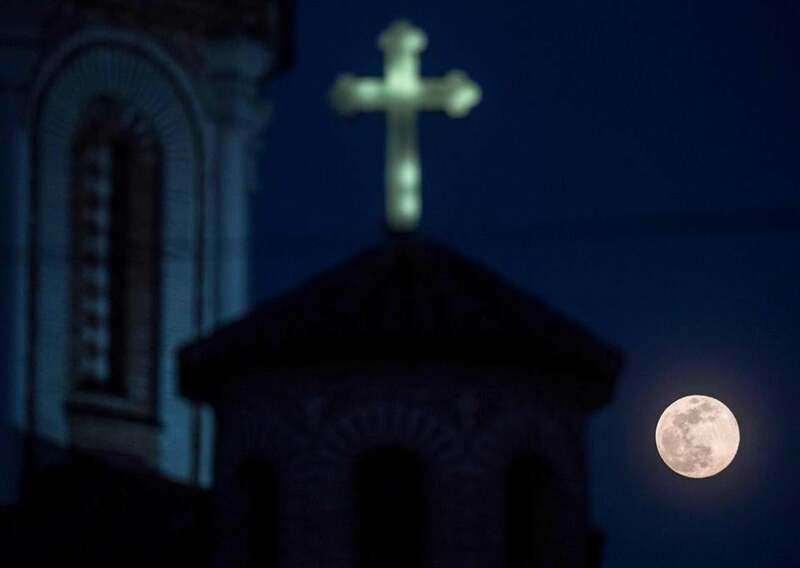 The full moon rose over a Church in Skopje, North Macedonia on March 20. 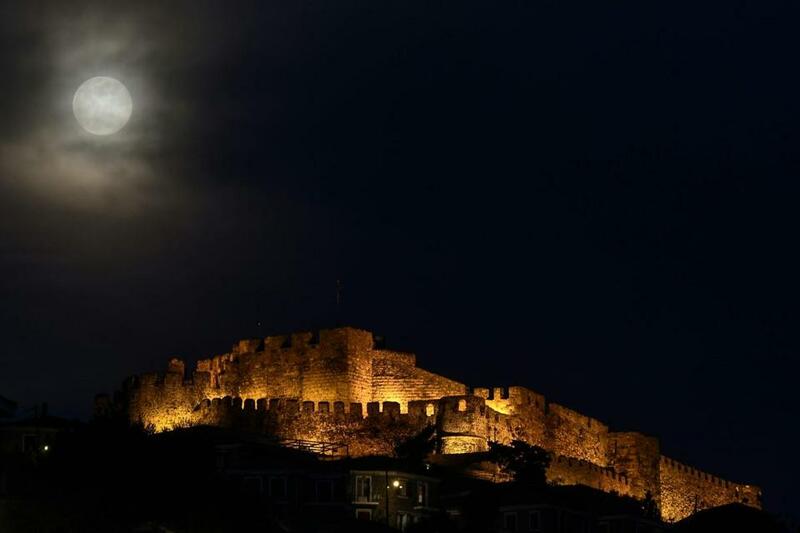 The full moon rose next to the ancient castle of Mithymna Molyvos on the Greek island of Lesbos on March 20. 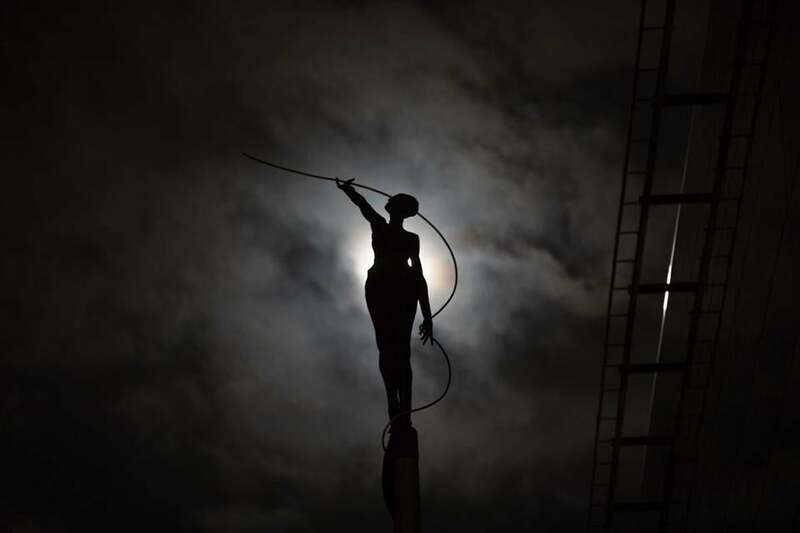 A sculpture silhouetted against the full moon in Brussels on March 20. 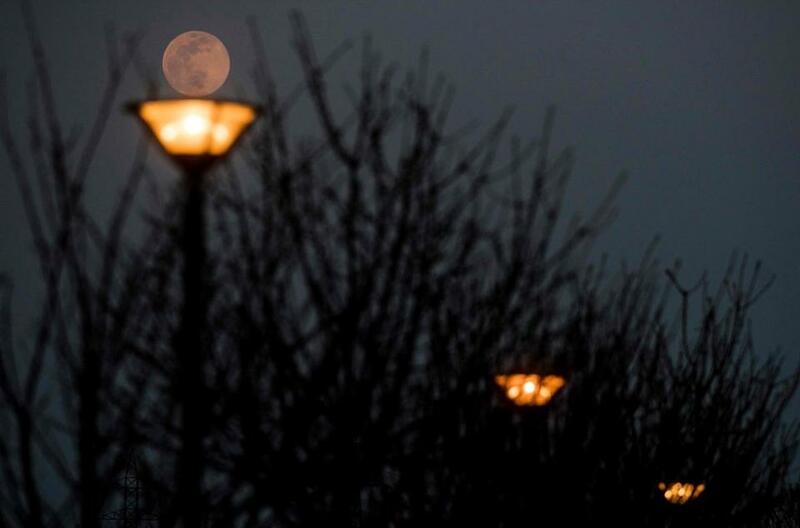 The full moon rose in Skopje, North Macedonia on March 20. 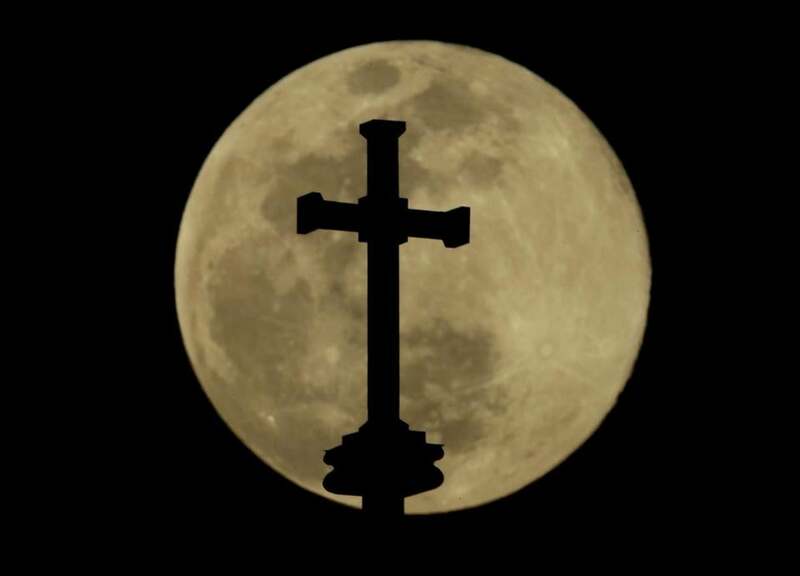 A cross on top of the Holy Family Cathedral silhouetted against the rising full moon on March 20 in Tulsa, Oklahoma.